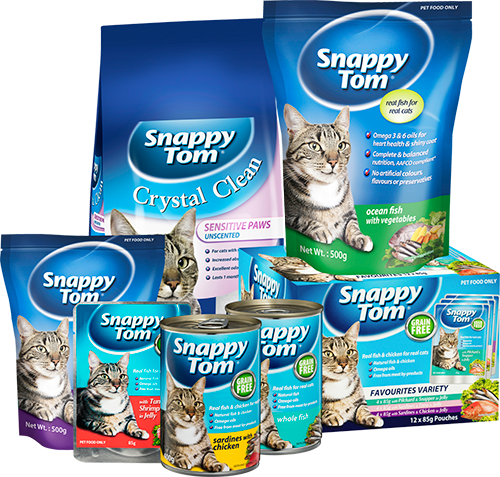 Snappy Tom is an iconic Australian brand that was launched over 50 years ago in 1965 in Adelaide, quickly becoming Australia’s favourite cat food offering real natural fish & chicken cat cuisine that cats love. “The Cats of Australia…Snappy Tom” jingle, aired on television and radio in the 1980’s and was unforgettable, recapping Aussie cats love for the Snappy Tom product. 30 years on and Australian’s can still sing the catchy Snappy Tom song without missing a beat. Snappy Tom is a much loved brand and has evolved in the media over the past 40 years. Check out our famous jingle and advertising by clicking the play button below.